To repeat, to strengthen, to create classics. 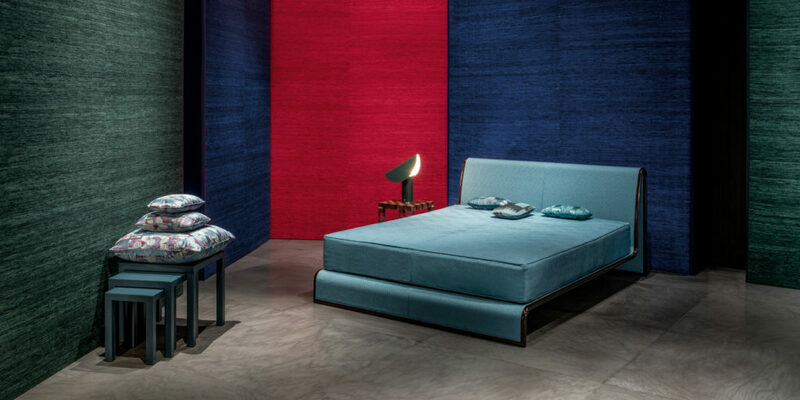 A mix of traditional and modern techniques, precious and sometimes unexpected materials, Oriental elements modernized through color and motifs are some of the features that Armani/Casa is known for. Armani/Casa proudly presents a collection that gives strength and continuity to the previous ones and their classic themes. Intriguing textures and cannetés, natural and floral elements complete the collection. One of 2018’s general themes is lightness: in the fabric collection this concept is interpreted through vivid colors that brighten the textiles through a wider color range than ever with bright tones such as red, petroleum, viridian and forest green. Iridescent effects and flashes of metal add prestige, where, the splashes of color give light to the collection. Giorgio Armani declares: “Decorating a space is no different, for me at least, than dressing a person. I’m always interested in the fine balance between naturalness and refinement, between sophistication and simplicity, between accessories and all of these aspects together. In the collections Armani/Casa I have always given special emphasis to the fabrics, developed by industry experts such as Rubelli, rediscovering ancient manual framing techniques, used both in fabrics as in carpets. They are the details that make the difference for me, with the subtle elegance that belongs to me and a very charming exotic nuance”. Rubelli, a textile design company at the forefront in the design and production of fabrics for interiors, has operated on the contract market since 1987 with Trevira CS flame retardant fabrics.